The raindrops are right there. Just change the focus. 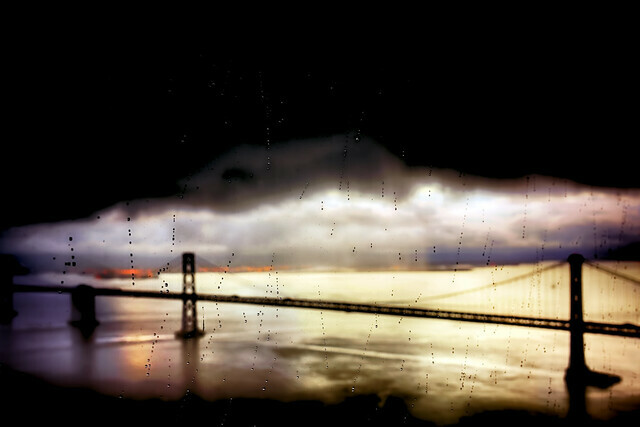 This entry was posted in Landscape, San Francisco Bay Bridge and tagged bay bridge, landscape on April 25, 2014 by eric.